Home > Blog > Uncategorized > Are You Ready to Stand Up? As I reflect on these past few months in my new role as Director of the Center for Diversity & Inclusion, I’m struck by how much more work there is to be done in our striving for inclusion, equality, and truth. There is a growing and important body of research documenting how the marginalization of patients based on age, race, ethnicity, gender, and sexual orientation leads to health care inequities. Less talked about, however, is the discrimination physicians may face in the course of treating patients. That’s why I want to call attention to a recent perspective piece in JAMA by Dr. Amy Nicole Cowan. In it, Dr. Cowan addresses the complicated reality of patient-based discrimination directed at physicians, particularly women and physicians of color. What can you do when ugly, bigoted rhetoric is directed at you? How are you to react to it when, as a caregiver, you’re there to support the health of the person making these statements? Dr. Cowan’s suggestion? Do not tolerate it. She recommends firmly upholding a clear boundary that you will not tolerate offensive language. Instead of becoming paralyzed by these painful encounters, Dr. Cowan urges doctors to be ready to address them—whether in the moment or at later date. And she offers examples of how to do this. In my experience, a lot of Diversity & Inclusion articles compellingly articulate the problem but fall short of solutions. In this case, Dr. Cowan offers concrete suggestions for what to say if you find yourself in this situation. We should all use our agency to speak up for ourselves. It is so important. But I hope, too, that we have the courage—and are prepared—to use our agency in the service of others. If you witness a colleague being subjected to harassment, bigotry, or bias, be ready to speak up using responses similar to those above. Your ability to align with people during moments when they are being marginalized or subordinated is a powerful tool. Use it. When you do, you do the work of creating a more inclusive and equitable environment for everyone. Is it uncomfortable to speak up for someone else? It can be. But imagine how much more painful it is for the target of the bigotry. Many of you reading this may not have to do much imagining. How many of us have felt the sting of casual (or not so casual) racism, sexism, homophobia, ageism, or other bigotry in the course of work or life. If a bystander has ever spoken up for you, then you know how powerful that solidarity and support can be. 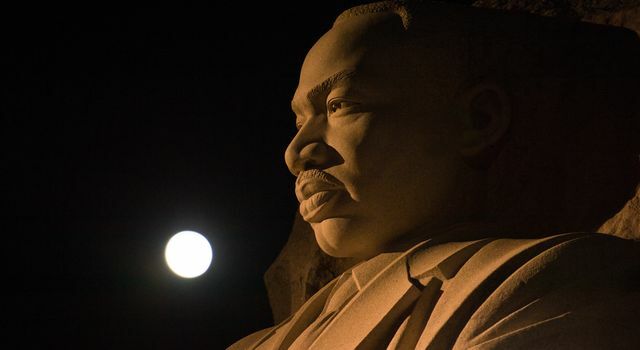 Dr. Martin Luther King’s question, “What are you doing for others?” is a clarion call. For me. For the Center. And I hope, too, for the community at-large. In 2019, may we all have the courage to rise above our fears and move beyond our comfort zones—not simply to advocate for ourselves but also to more fully support one another. Finally, I’d be remiss if I didn’t take this opportunity to thank you. By virtue of your commitment to advancing the health of communities near and far—by virtue of the work you do every day—you are answering Dr. King’s question. As 2019 progresses, I look forward to sharing more Diversity & Inclusion research, news, and programming with you. If you have questions or would like to talk about the work we are doing here at the Center to support the recruitment, development, and advancement of diverse faculty, trainees, and medical students, please reach out. I hope the New Year brings you and those you love continued health, joy, and success. May 2019 be your best year yet! Tina Gelsomino is the Director of the Center for Diversity & Inclusion at Brigham Health. She works to advance the Brigham’s diversity and inclusion strategy to support all faculty, trainees and medical students by focusing resources on a robust set of recruiting, retention and engagement initiatives, and in close alignment with the priorities of the Chief Diversity & Inclusion Officer. In addition to being a certified business coach, Tina is a trained negotiator and graduate of the Harvard Law School Negotiation Certificate Program. She holds a master’s in social work from Boston College and a bachelor’s degree in psychology from Brandeis University.